And now there is movement towards the World Handicap System. The first to make a move, albeit a small one, was CONGU. They decided now is the time to start changes to their handicap system to get ahead of the curve. There is much more to the following and if you want more check out the article at CONGU. As of yet, Golf Canada remains firm with their 2016 changes to the handicap system played in Canada. I am not sure if it is because it is the middle of winter or that they are waiting for more to develop before moving towards the World Handicap System. I think their approach is prudent, but I would like them to release something more than their 12 July 2017 survey on the feelings of Canadian golfers. I have sent an email to Golf Canada asking for an update and when I get their response I will update this happenings of the World Handicap System. If anyone has any update on the World Handicap System, I am all ears! I’m all for WHS . The only way to get rid of sandbaggers or bandits is to have prizes based on gross score. If they don’t award vouchers or money for net scores then that will solve the problem. 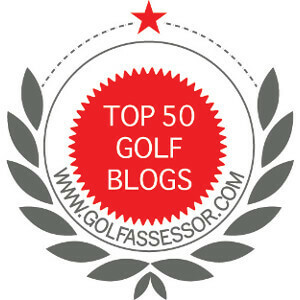 You can still have a handicap to monitor your progress but for club competitions only give prizes based on gross score. You have a very good point about removing net scores. In the big scheme of things, it should not make any difference for the players. I have played in events when I shot 12 strokes better than the person winning a net prize. Does not seem fair and I can see your point. I am sure that players with a high handicap would not support your view. An interesting discussion though. I guess my thought on this is “no big deal.” I’m fine with a world handicap system if everyone can agree on the rules. It was weird that the USGA said no single rounds but anyone can still log on to http://www.GHIN.com and enter as many single rounds as they like. Anyone can raise their handicap by 10 strokes in a matter of 10 minutes. Until they fix that so we don’t have sandbagging in tournaments, all the small changes don’t really matter. Just my take. Kinda harsh but I have played in way too many tournaments with sandbaggers in tournaments. Thanks for your comment. It is difficult to play in tournaments when players are not honest about their ability. I personally do not see the value. I think that a universal handicap system might be a good thing. We shall see.